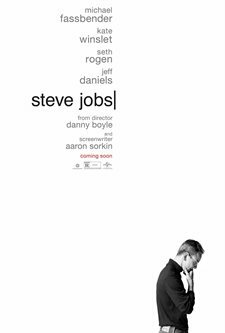 Download Steve Jobs in Digital HD from the iTunes store. Steve Jobs images are © Universal Pictures. All Rights Reserved. To label a film "biopic" can sometimes be a little misleading. There is always a case for artistic license to emphasis part of the production, and this may be the case of Danny Boyle's (Trainspotting, Trance) latest offering, "Steve Jobs". Written by Aaron Sorkin (Malice, The Social Network) and based (loosely) on the biography by Walter Isaacson, the movie is divided in to three distinctive acts spread across a fifteen year period (1984-1998). Each act has a certain familiarity to it and is full of dialog. With all the action happening back stage at a major product launch, and involves the same half a dozen or so characters - Steve Jobs (Michael Fassbender), Joanna Hoffman (Kate Winslet), Steve Wozniak (Seth Rogen) John Sculley (Jeff Daniels), Chrisann Brennan (Katherine Waterston) Lisa Brennan-Jobs (Makenzie Moss, Ripley Sobo, Perla Haney-Jardine). Flashbacks help to tell the deeper story, but, even so, twenty minutes in and you begin to wonder what direction the film is going in. Fortunately, the movie went in the right direction, mainly for two reasons. First, Fassbender's (Prometheus, X-Men: Days of Future Past) charismatic portrayal of Jobs has to be one of the most powerful performances by an actor this year, and quite possibly of his career. Granted, some thought he was the wrong man for the role, but how wrong they are! He may not look or sound like the man but he captures his mood perfectly. Whether he was arguing his point or mentally wrestling with his inner most thoughts, you could not fault him. As there is a lot, and I mean a lot, of dialog, having the right people alongside him was crucial; Kate Winslet (Divergent, Titanic) was never far from his shoulder as his closest confidante always trying be the voice of reason or peacemaker whatever the occasion needed. Seth Rogen's (The Interview, 22 Jump Street) Steve Wozniak added a touch of humor. The second reason was the appointment of Danny Boyle as director. "The musicians play the instruments, I play the Orchestra", Steve Jobs said to Steve Wozniak talking about himself. That same quote could be said of Danny Boyle. 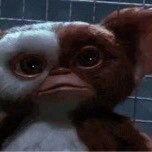 His technical prowess was again at the forefront of the movie. The decision to shoot the three acts in a different format (16mm for 1984, 35mm for 1988, and digitally for 1998) emphasized the progress that Job's, himself, was making, as well as adding a certain amount of atmosphere, especially in the early third of the movie. Aaron Sorkin's well written script kept the movie flowing and gave some great quotes. All cinema-goers ask for is to be entertained. 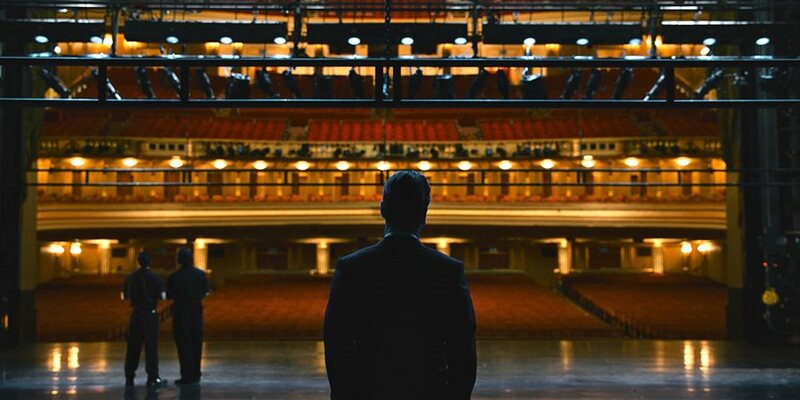 The majority will not worry too much what is, and what isn't, fact or fiction, and with that in mind, both Boyle and Sorkin have succeeded in telling the tale of a man that sought perfection in his life, and although this movie is not perfect, it is hugely entertaining. I rate this film a B.
Steve Jobs images © Universal Pictures. All Rights Reserved. Steve Jobs: "The two most significant events of the twentieth century: the Allies win the war, and this." Steve Jobs: "Musicians play their instruments. I play the orchestra."